Advances in science and technology continue to require higher update requirements for maintenance tools, The emergence of new tools makes phone maintenance more easier. it is also saves more time for us. it is a good news that JC publish the new items: JC TX-BAS X Layering Nand Test Fixture. maybe most of customer is Unfamiliar with this product. in this articles, we will talk about it. 1. JC TX-BAS adopts gasket compatible design, it support layering test with no middle frame X motherboard. 2. Exclusive clamshell design, one-handed operation, to create the best operating experience. 3. battery holder, tail socket integrated cable design, built-in code chips, Turn on for a long time without restart. 4. Work with JC C1 Smart Repair Box, Match with two items, it will achieve battery-free / tail plug insert one button to start, fast brush machine. As described, you will confused! is it iSocket Test Fixture? 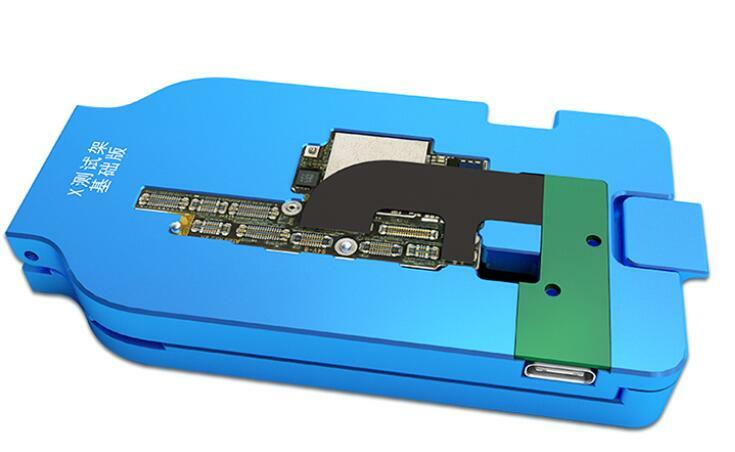 As we know, with iSocket Jig testing tool, you can test it directly without soldering iphone upper/lower logic board together. 1. As for the price: JC TX-BAS is only about 230USD, but iSocket Jig is more expensive. 2. Compared with iSocket Jig, it added other functions, such as brush the machine.